A Catholic priest in Arlington, Virginia, is temporarily stepping down after revealing he was a member of the Ku Klux Klan and burned crosses more than 40 years ago before joining the clergy. Aitcheson served with the Catholic church in Nevada before being transferred to Arlington, where he is originally from, church officials said in a statement. 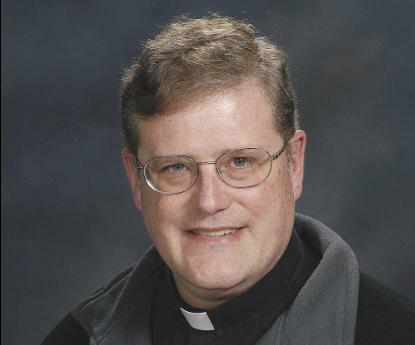 He was ordained in 1988 and has served in a variety of positions at parishes in Nevada; Arlington; Fredericksburg, Virginia; and Woodstock, Maryland. His latest assignment was as parochial vicar, or assistant to the pastor, at St. Leo the Great in Fairfax City. The Arlington diocese said Aitcheson would not be available for comment. Attempts to reach him Tuesday were unsuccessful. According to a March 1977 story in The Washington Post, Aitcheson, then a 23-year-old University of Maryland student, was identified as an ‘‘exalted cyclops’’ of a KKK lodge. He was charged in several cross-burnings in Prince George’s County, Maryland, and other counts, including making bomb threats and manufacturing pipe bombs. According to the 1977 Post story, state police in Maryland said Aitcheson was a leader of the Robert E. Lee Lodge of the Maryland Knights of the KKK, which had planned to recruit people to blow up facilities at Fort Meade near Laurel. When officers searched his home in the 1970s, they found nine pounds of black powder, weapons and bomb parts in Aitcheson’s bedroom and basement. His parents told authorities they didn’t know the explosives and weapons were in their home. Aitcheson pleaded guilty to several cross burnings, including one in the front yard of an African American family in the College Park Woods neighborhood and others at B’nai B’rith Hillel at the University of Maryland and the Beth Torah Congregation in Hyattsville. He was convicted and sentenced to 90 days, and ordered to pay a judgment of about $20,000. The African American couple, who were newlyweds at the time of the incident, declined to talk Tuesday about the burning cross from 40 years ago. A woman who answered the door at their home said it was so long ago, and thinking about it would bring back difficult memories. Five years after Aitcheson’s involvement in the cross-burning incident at their home, President Ronald Reagan visited the couple and their young daughter, saying the incident ‘‘is not something that should have happened in America,’’ according to a May 4, 1982, article in the Post. Aitcheson also pleaded guilty to charges that he threatened to kill Coretta King, the widow of civil rights leader Martin Luther King Jr. He told a U.S. District Court judge that he wrote to King in February 1976, telling her to ‘‘stay off the University of Maryland campus or you will die.’’ According to a Post story, investigators said he wrote ‘‘Africa or death by lynching, take your pick, the Knights of the Ku Klux Klan.’’ He was a U-Md. student studying broadcasting at the time. Aitcheson was described in a 1977 Post article as ‘‘speaking calmly, with his head bowed slightly’’ at a hearing on the King case. He told a judge he was pleading guilty because ‘‘well, ah, because I’m guilty.’’ He also faced charges in Maryland’s Howard and Carroll counties of illegal possession of firearms and manufacturing explosives. He was convicted in U.S. District Court in Baltimore of mailing threatening communications. A judge sentenced him to 60 days in prison and four years of probation. ‘‘It is a reminder of the radical transformation possible through Jesus Christ in his mercy,’’ he wrote. Billy Atwell, a spokesman for the Catholic Diocese of Arlington, said the diocese had received information about Aitcheson’s history when he was accepted for ministry under Bishop John Keating. He didn’t provide details on what information was known. Aitcheson attended seminary at the North American College in Rome from 1984 to 1988, according to the diocese. Atwell said he didn’t know if a criminal-background check was conducted when Aitcheson came to the Arlington diocese in 1993, although he said more in-depth background reviews have been done routinely on staff and priests since the mid-2000s. Since the mid-2000’s ‘‘all staff and clergy have had in-depth background checks’’ under policies of the Virginia State Police, according to Atwell. The checks are also done using a national criminal check system of the FBI and fingerprinting tracking databases. It wasn’t clear if his criminal record would have eliminated his ability to become a priest, either in Nevada or Virginia. Al Leightley, head usher at Saint Leo the Great, said Aitcheson never discussed his past involvement with the KKK. Leightley found out about his past Tuesday morning, but said Aitcheson repented appropriately in his Monday letter. On the diocese’s Facebook page, multiple supporters of the priest praised his decision to go public, and called him a gifted pastor. ‘‘A true story of redemption. May God continue to work in and through Fr. Aitcheson,’’ one wrote. Burbidge said ‘‘there have been no accusations of racism or bigotry against [Aitcheson] at the Arlington diocese during his time.’’ He said Aitcheson’s request to step away from public ministry was approved.